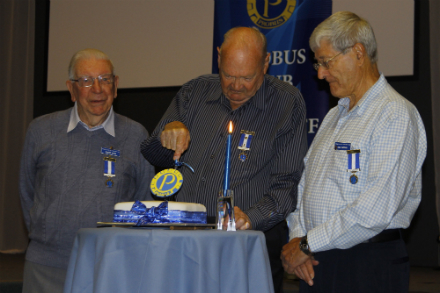 December 2013 marked 30 years since the founding of the Men’s Probus Club of Flagstaff Hill. The day was celebrated with cake cut by life member Ian Bradley, the only remaining founding member of the club. 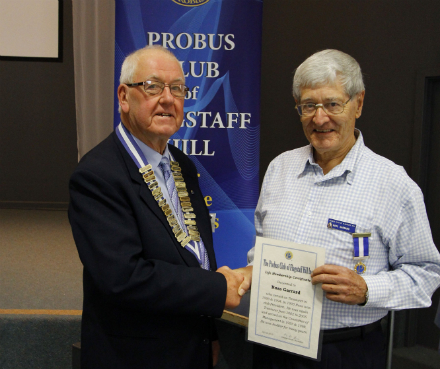 He was accompanied by two other life members, Robert Niven and Ross Garrard – who received his life membership from President George Oram for his service to the club.